Recently the Sailor Moon collaborations have been out in full force serving up delicious prism power parfaits at Qpot cafe and adorning stationary sets in Itsdemo, also among the hundreds of Gatchapon machines dishing out Sailor Moon toys in Tokyo. However in March the collaborations took a very classy turn into the upmarket department store in central Shinjuku called Isetan . Isetan sells only the fanciest and most expensive brands, so it was nice seeing it infused with some otaku culture. 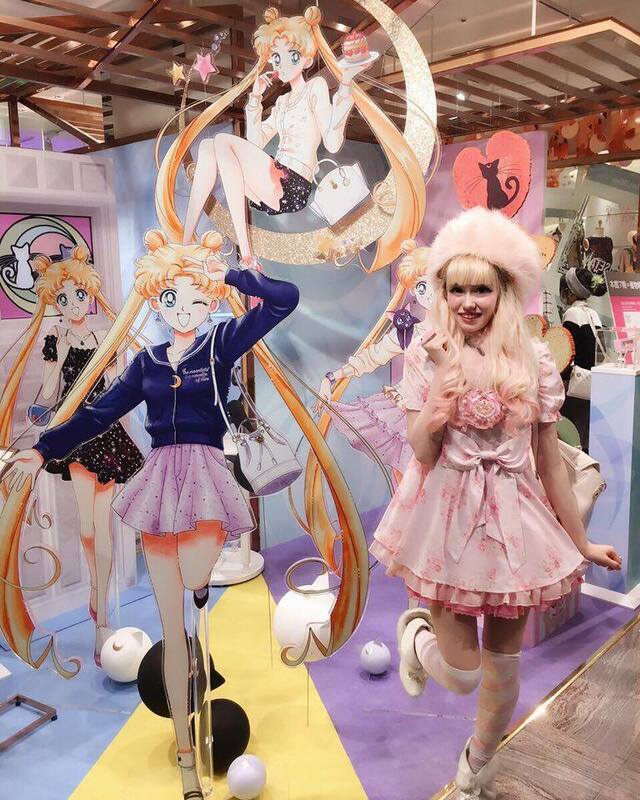 Bandai collaborated with brands such as Samantha Vega and Baby-G to make magical girl inspired clothes, handbags and jewelery, making a stylish series far from Otaku fashion. The only problem being the price tag - some of the bags were selling for up to 40,000yen! The jewelery was as expensive and the watches were even more so. However Sailor Moon is a recurring trend that never seems to fall out of fashion, old Sailor Moon goods (such as the ones found in Nakano Broadway) can go for up to four times the price now! Maybe it would be a good investment to snap up one of these limited edition pieces now. 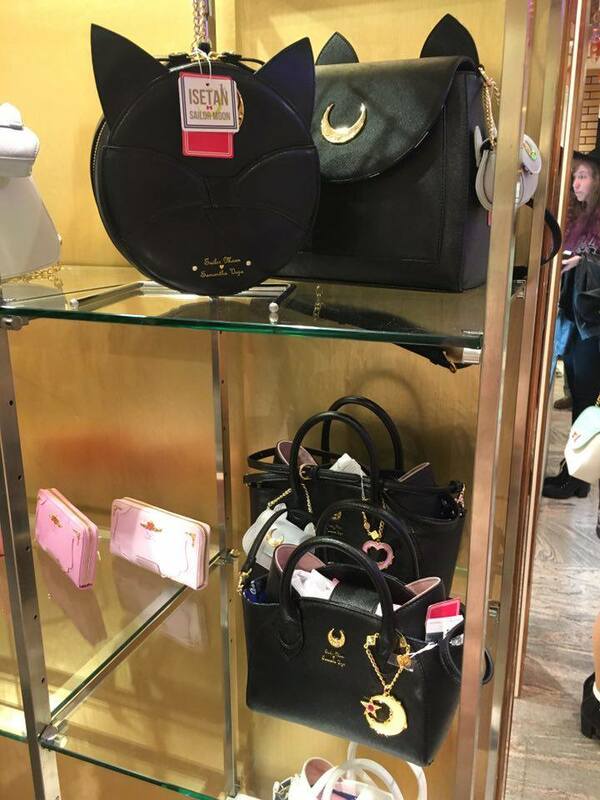 The Samantha Vega handbags come in an assortment of designs and colors, ranging from normal-shaped understated bags with gold Moon clasps and bag charms, to more flamboyant cat-ear shaped Luna inspired bags with huge gold emblems. I did note however that the bag charms are separate items and also cost about 3-4,000yen! So be careful when picking up one item...There were also smaller purses that you can clip to the handbag with the Sailor Scout seifuku emblem and they were also adorable! 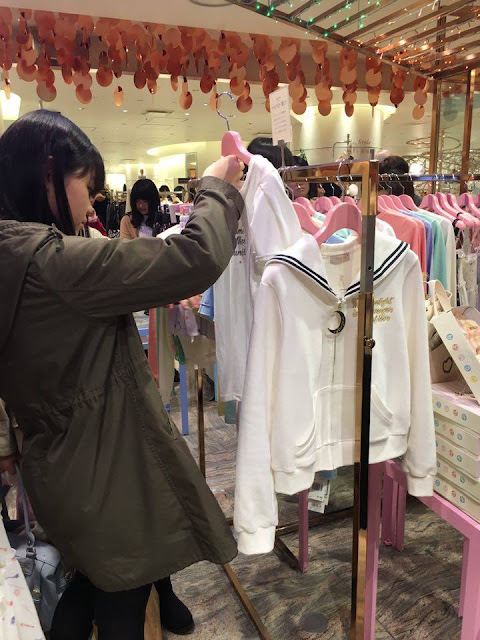 The hot item in-store was the seifuku-style hoodie with gold moon charm zipper, this retailed at 19,000yen and sold out pretty quickly! 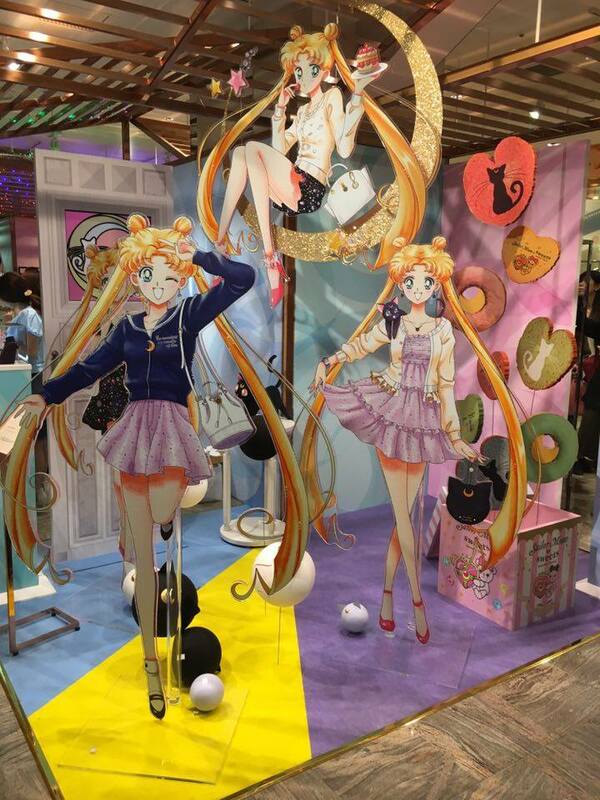 I was surprised at how quickly everything has been selling, however Sailor Moon is popular now with the younger generation because of the new Sailor Moon: Crystal anime revamp, and of course women who are nostalgic having watched the old series when they were younger. 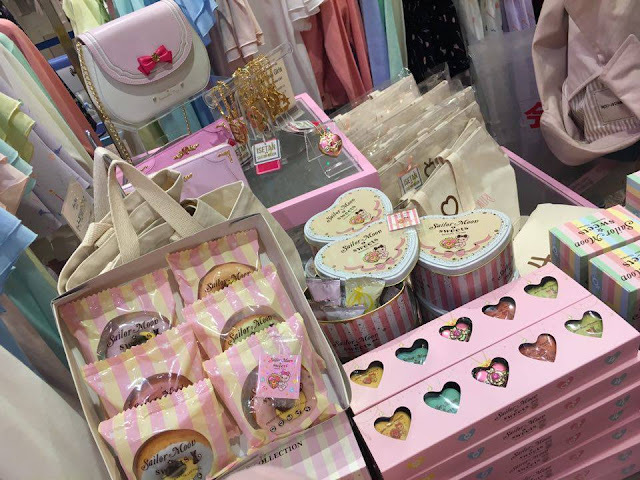 There was even a small confectionery counter with Sailor Moon cookies, cakes and even adorable boxed macarons representing each of the Sailor Scouts! These were only 2,500yen, so that was definitely an affordable piece of merchandise to share with your friends (or eat all to yourself). 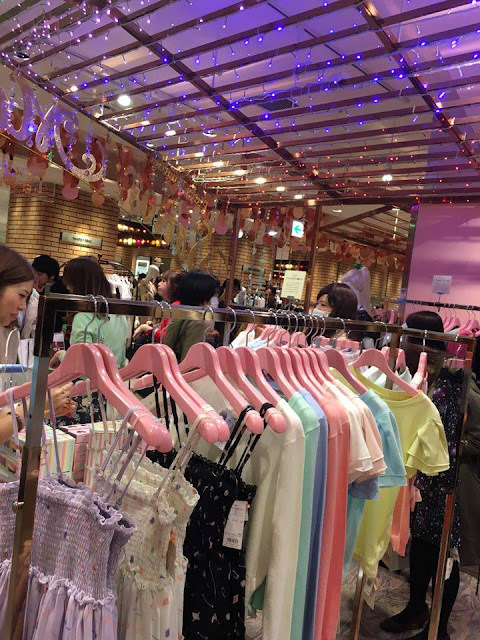 The pop-up store was market style with rails of (mostly galaxy printed) clothes and twinking fairy lights hanging over head, it was a really nice atmosphere, apart from the shoppers rushing to snag their favorite item. Samantha Vega actually release Sailor Moon themed Handbags now and then, so be on the look out. 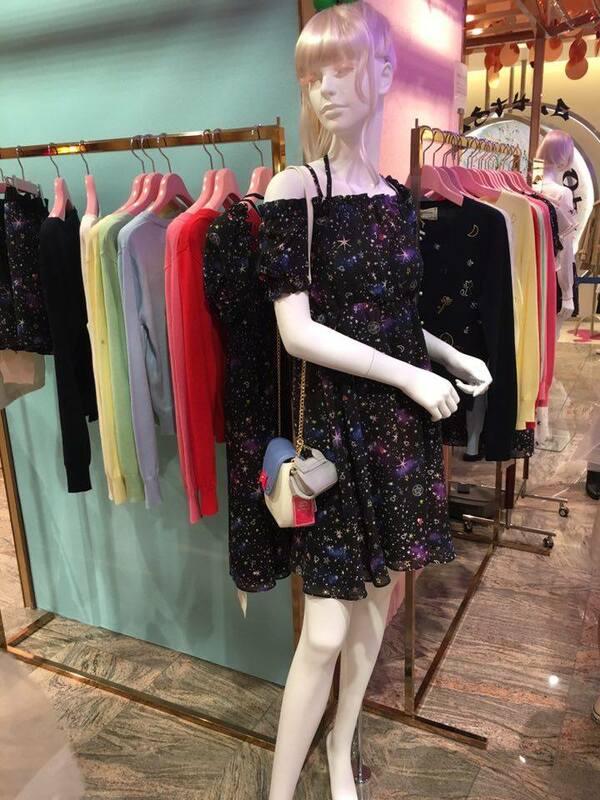 You can probably pick up something from this collection on Yahoo auctions, however Isetan are not the only store making Sailor Moon collaborated clothing; sister store of Liz Lisa "Tralala" are also selling a Sailor Moon line! Even after the collaboration ends, please visit Isetan department store if you are ever in Shinjuku, they always feature foreign and Japanese artists and have interesting collaborations. Isetan is about a 5 minute walk from Shinjuku station! Pretty in Puroland for the 25th anniversary!